Despite the relatively small size of Berkhamsted and Tring, you can actually find almost any type of property next to water. From pretty canal-side cottages that date back 100 years, to modern blocks of apartments built in the last decade, to large 20th century family homes with long gardens reaching down to the River Bulbourne, there is something to suit most people’s tastes and requirements. The Grand Union Canal meanders through Tring, Berkhamsted, and many of the surrounding villages, while the River Bulbourne also runs through Northchurch, Berkhamsted and Bourne End, towards Hemel Hempstead. 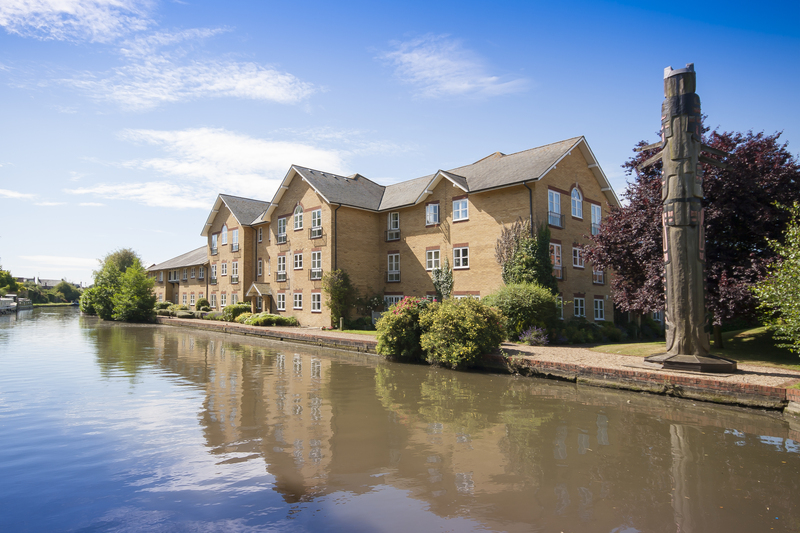 Berkhamsted’s mix of purpose built apartments and converted waterside buildings provides a collection of homes, including 1 and 2 bedroom apartments, and 3 bedroom houses. Notable developments include Dudswell Mill (a converted former stables), Alsford Wharf (purpose built apartments) and Castle Mill (a clever mix of conversion and purpose built apartments). Dudswell Mill, Dudswell. 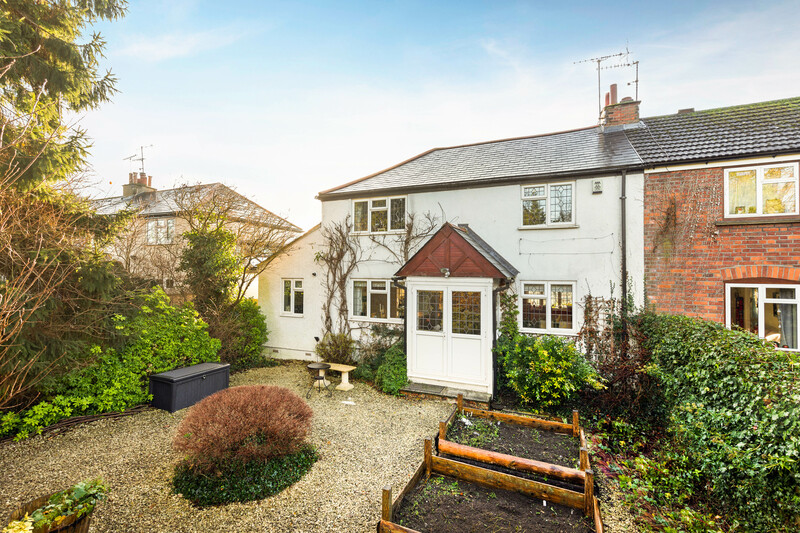 3 bedroom house, currently under offer through the Berkhamsted branch. Alsford Wharf, Berkhamsted. 1 bedroom apartment currently available to rent £875 pcm. 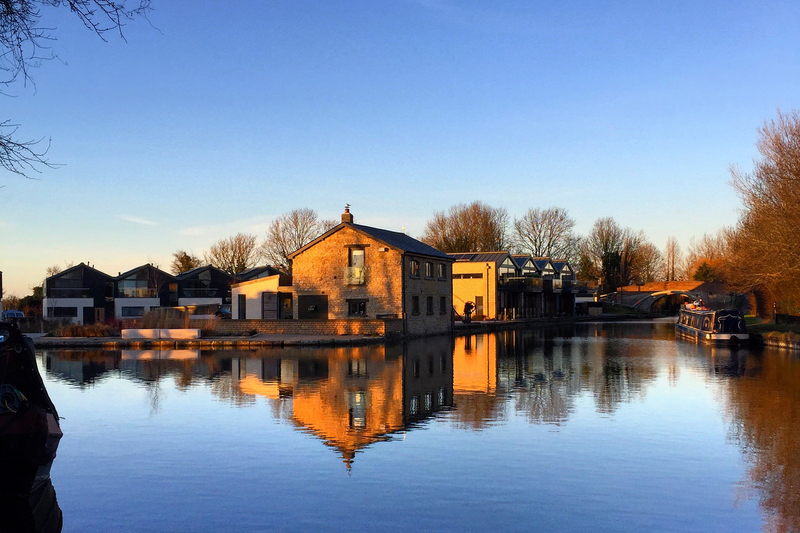 If a house is more your thing, there are Victorian houses, cottages and converted wharf buildings throughout Tring and Berkhamsted - a real slice of what life used to be like among the canal workers and lock keepers. Belton Road, Berkhamsted. 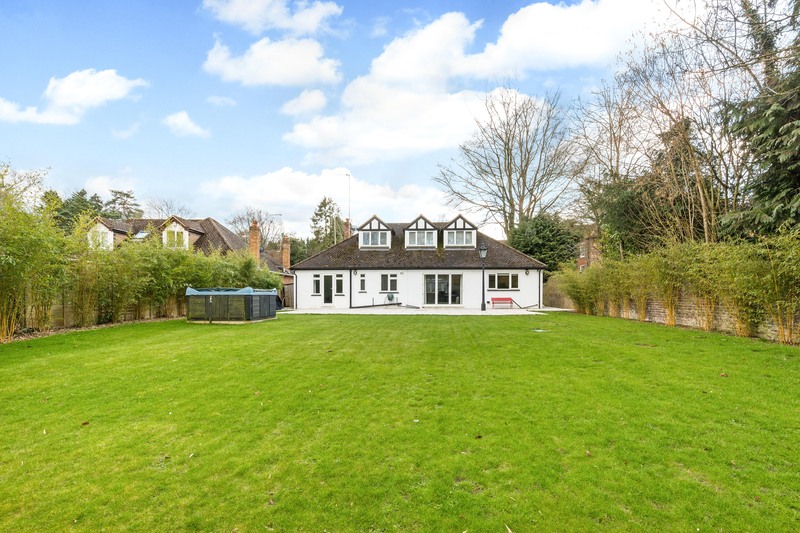 3 bedroom house sold through the Berkhamsted branch in April 2018 for in excess of its guide price of £650,000. 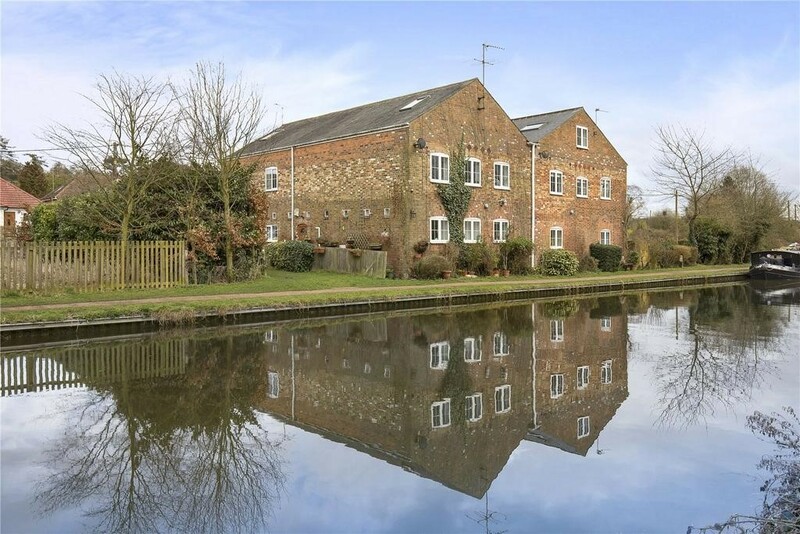 Marsworth Wharf, Marsworth, near Tring, 3 bedroom house, guide price £750,000 Currently under offer through the Tring branch. Vicarage Road, Marsworth, near Tring. 3 bedroom detached house available to rent through the Tring branch, at £1,950 pcm. For larger houses, look to villages such as Marsworth, Cow Roast and Bulbourne – plus parts of Northchurch and Berkhamsted – for spacious family homes with large gardens that reach right down to the water - you may even be lucky enough to find proper moorings for your vessel of choice. Bourne End, for example, is a village draped along the banks of the River Bulbourne between Berkhamsted and Hemel Hempstead where many of the houses along London Road back onto the river. Kingsmead House, Bourne End. 4 bedroom house with waterside deck and its very own island, currently for sale at £975,000 through the Berkhamsted branch. 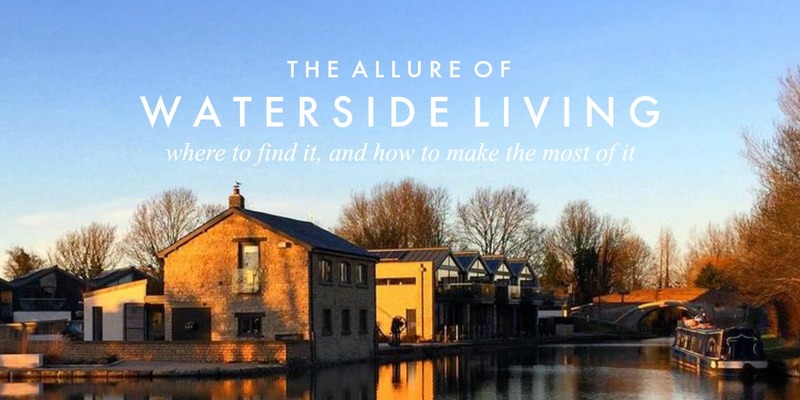 What does waterside living add to value? You can probably expect to pay anything between 10 and 30 percent over a comparable property with no waterside connection. As we are now entering the realm of unique homes, giving an exact figure is impossible, but, the more serene the setting and luxurious the property, the more you can expect to pay. How can I get the best price for my waterside property? The best thing you can do is to make the most of the connection to water. First things first, make sure the view of the canal or river is not obscured. We have visited a number of homes where the river at the bottom of the garden is concealed by overgrown – or voluntarily placed – foliage. For the sake of selling, you really want to be able to get a great hero shot of your house, your garden and the water. For someone solely on the lookout for waterside property, it's perfectly possible they will never register with an estate agent or property portal. Instead, they might simply keep an eye out for new listings and make judgments from the lead image. So a beautiful and arresting photo clearly picturing the waterside connection is essential for generating maximum interest. And if you only clean one window, clean the one with the best view! Now that you’ve made the most of the view, how can you dress the environment for maximum impact? Well, while your gardener is chopping down or relocating your hedge, set him or her to work in sprucing up the area close to the water. If you don't have one, you may even consider borrowing or buying a water-going craft – a simple rowing boat will do – to enhance the idyllic waterside dream. For apartments with balconies or terraces, be realistic around how much furniture the balcony can comfortably take. Whether you’ve already got furniture or need to buy some, don't overdo it. Think comfort and spaciousness. Remove any excess items and position the furniture in a way that gives it a fine view of the canal or river. To bring the water inside, consider placing a mirror either near your window or opposite it to reflect the water into the room, or to give view an additional – and unexpected – view of it when facing another direction. 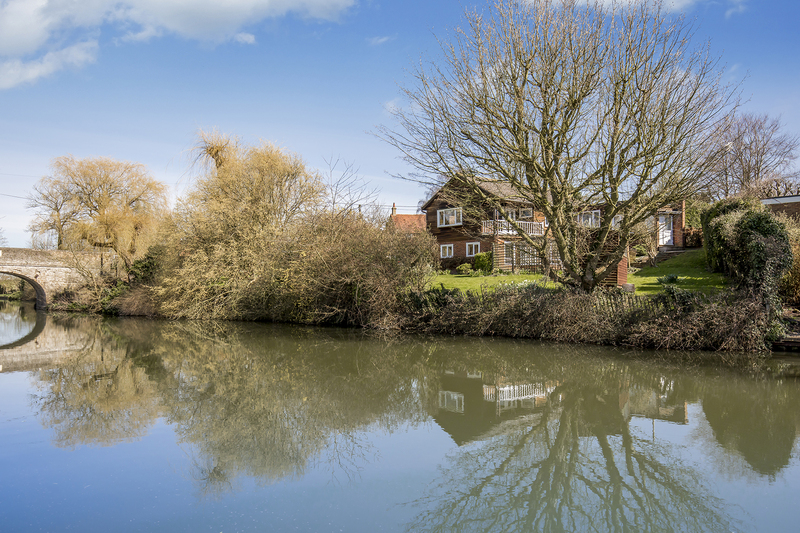 We hope that gives you lots of useful information around where to find – and how to make the most of – waterside property in the Berkhamsted and Tring area. If you’d like any further advice, simply get in touch with our team - we’ll be delighted to help.